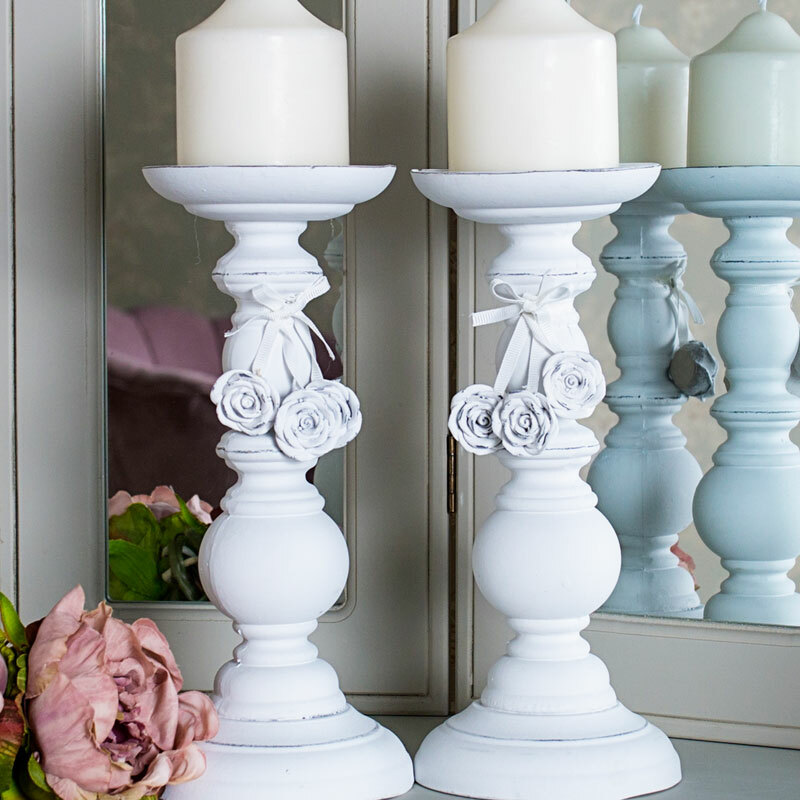 Add a little romance and love to your decor with these beautiful candle stands. In a pair, these are perfect for rustic, shabby chic weddings and dining table centrepieces. Wood turned design with delicate hanging rose motifs strung around the top of the candlestick. Each candle stand will hold a large tealight or pillar candle for a stunning candlelit display. With a distressed finish to add to the vintage appeal. This will be ideal for use as part of a wedding display or for decorating your dining table when entertaining guests. 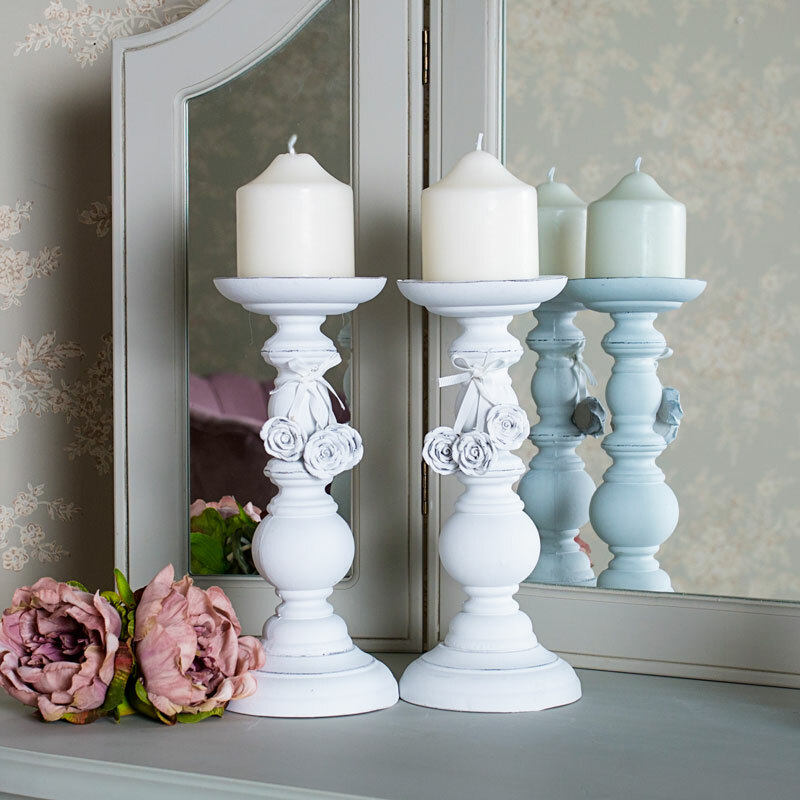 Add a little romance and love to your decor with these beautiful candle stands. In a pair, these are perfect for rustic, shabby chic weddings and dining table centrepieces. Wood turned design with delicate hanging rose motifs strung around the top of the candlestick. Each candle stand will hold a large tealight or pillar candle for a stunning candlelit display. With a distressed finish to add to the vintage appeal. This will be ideal for use as part of a wedding display or for decorating your dining table when entertaining guests. Made from resin in a white finish with slight distressing and metal plate in the top for safety.